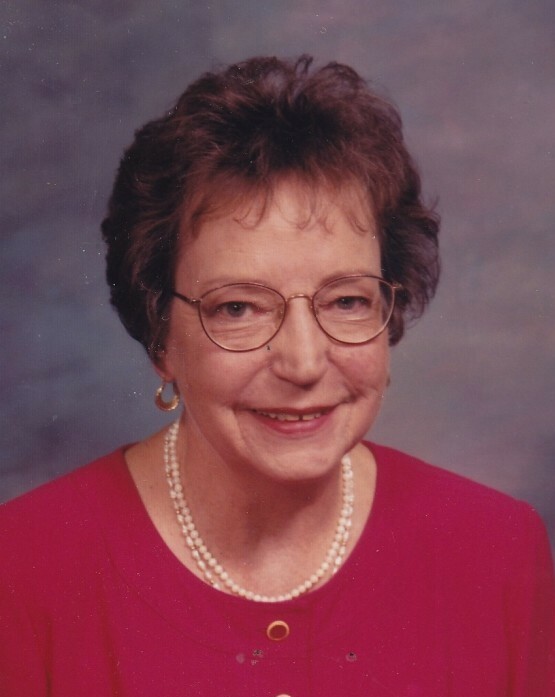 Martha Anne (Sponske) Talbot, a longtime resident of Wilbraham, passed away early Wednesday morning, March 27, 2019 in Longmeadow, surrounded by her loving family. She was born in Springfield, on June 14, 1935, the daughter of the late Joseph J. and Mary G. (Beland) Sponske. Martha graduated from Cathedral High School, and both undergrad and graduate degrees from the Elms College. She was employed with Mass Mutual for many years and retired as an Associate Director of Financial Resources. Martha was a devout Catholic and longtime parishioner of St. Cecilia’s Church of Wilbraham, a member of its choir and volunteered for many years in educational programs offered by the church and the church office. She was a member of the Wilbraham Woman’s Club, the Red Hat Club, as well as volunteering for the Hospice Program in the Springfield area. In addition to her parents, she was predeceased by her husband Jones Harold Talbot Jr. four sisters and three step sons, Jones “Jay” Harold Talbot III, Roland C. “Rocky” Talbot and Phillip B. Talbot. She is survived by four step children, Sarah “Sally” Simone and her husband Robert of Enfield, CT, Henry “Hank” Talbot and his wife Noreen of East Longmeadow, Edith M. Burek and her husband Steve of Belchertown, and Richard W. Talbot and his wife Barbara of Longmeadow; 21 grandchildren; and 18 great-grandchildren. Martha also leaves her two dearest friends, Tony and Irene Camerota of Wilbraham, and their children Audrey and Anthony. The Talbot family would also like to thank the staff at Murphy Avis Health Care for their compassion and care given. Family and friends will gather and remember Martha on Tuesday, April 2nd from 9:00 AM -11:00 AM at the Byron Keenan Funeral Home and Cremation Tribute Center, 1858 Allen Street, Springfield, followed by a Liturgy of Christian Burial at 12:00 Noon at St. Cecelia’s Church, 42 Main Street, Wilbraham. Burial will conclude in Gate of Heaven Cemetery, Tinkham Rd., in Springfield. A luncheon will follow at Twin Hills CC in Longmeadow. Contributions in Martha’s memory may be directed to Baystate VNA Hospice and Dakin Animal Shelter of Western MA.